Well, it’s not quite dead yet, as last week the artist Pia Sawhney revived the myth and created her own version of the “American Dream” postcard in the form of an immersive sculptural installation in Parasol Project’s 208 Bowery location. “I want to evolve the way we consume fine art since we’re in an era where people live on their phones and want to frame their photos and be a part of the picture. 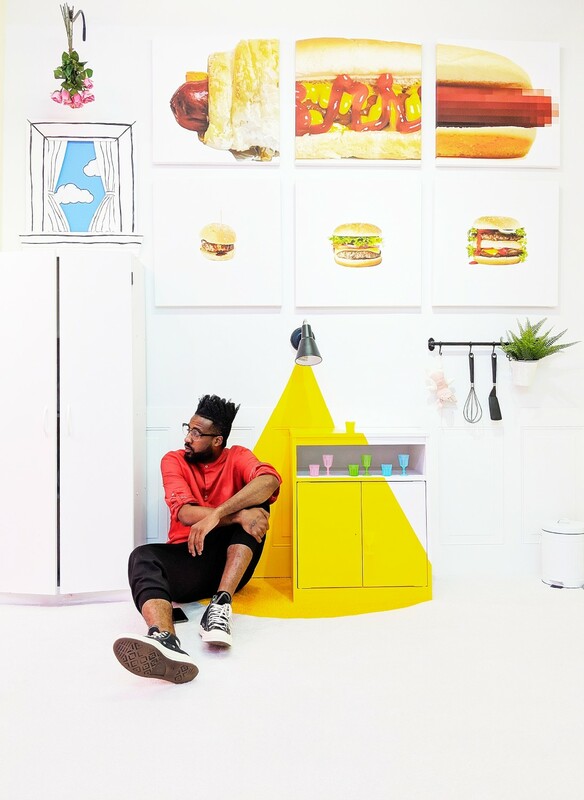 Making realistic paintings is technical for me, not creative since I use a reference, so I wanted to creatively challenge myself to mix building an immersive and interactive environment for my work,” explains the artist. And immersive it was! A synthetic lawn filled with hidden visual messages and burger candies greeted onlookers while the closer you seemed to look the more twisted this replica of a typical suburban house façade came to be. While one might have then expected to walk into more stereotypes, once through the door, viewers found themselves immersed in a pink bedroom adorned with a giant American flag sculpture made of AK-47s and hand grenades. While the political allusion to the current state of American firearm controversies is not so subtle, Pia considers herself a visual artist and her work is first and foremost about form. Other works in the bedroom include a giant wink to Warhol’s Campbell soup painting and a testimony to her own interest in pop aesthetic, a fully set table and chairs on the wall and paintings of various American delicacies so detailed that you are sure to leave the exhibition hungry. 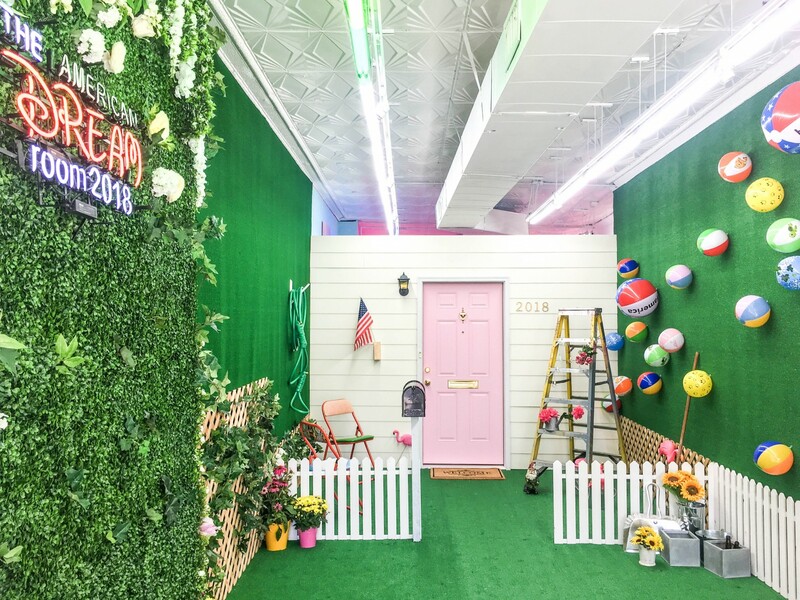 As her first pop-up experience, The American Dream Room, 2018, was a large success that she is likely to recreate in the future. When asked why she’d undertake such an ambitious project, she answered it was mostly to challenge herself and reach out to a wider audience. We look forward to seeing what Pia has in store for next year and years to come!